Sony has hyped the Xperia go as a rugged smartphone ever since its recent release, and it now yet another group of sadistic testers have decided to see just how resilient it really is. 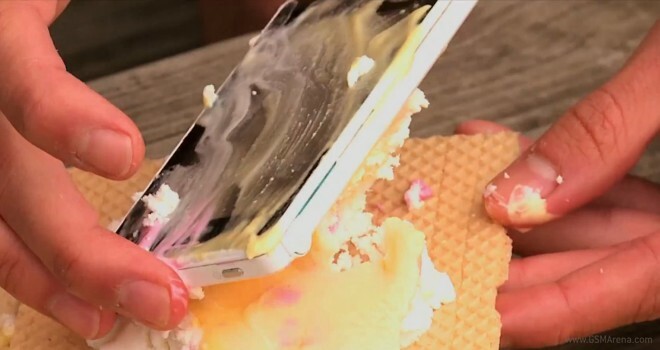 The guys from German tech site A1 have taken it upon themselves to put the Xperia Go through a gauntlet of various tests to push the limits of its IP67 certification, including dunking it in a pool, running it over with a car, and making it into an ice cream sandwich. Get it, Ice Cream Sandwich? Check out how things went. Warning, if you don’t like seeing cute little smartphones get abused, then this video is not for you. Stay tuned for our review on the ultra-resilient Xperia go, which is already in the works.